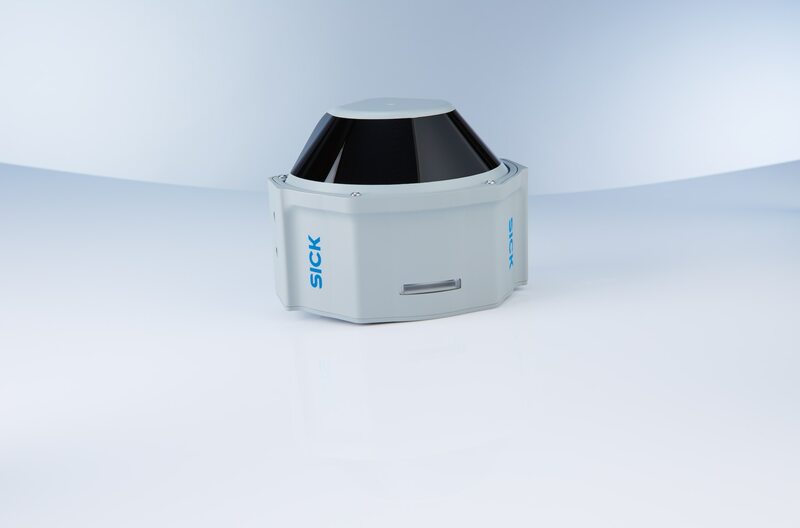 Waldkirch, November 2017 – SICK has developed the MRS6000 multi-layer scanner, a 3D LiDAR sensor for quickly, accurately, and reliably detecting and measuring objects, in multiple dimensions. The sensor gathers large quantities of data on multiple scan layers, providing gapless scans at a fine angular resolution. The MRS6000 is characterized for its high point density over 24 scan layers. Its special mirror technology also ensures a high level of scan stability, and measurement data is transmitted in real time via the scanner’s 1Gbit Ethernet connection. Featuring multi-echo evaluation and multi-echo capability, the sensor can take measurements over long distances and produces low levels of noise in the measurement data. Its compact, rugged design and IP67 enclosure rating means that the scanner can also tolerate hostile ambient conditions. The MRS6000 has a variety of applications in security, property and building monitoring, passenger lock people counting, rear space monitoring in outdoor industrial vehicles, traffic monitoring systems, and robotics. 3D point cloud detection can also be used in the drilling of wells and ore chutes. SICK is one of the world’s leading producers of sensors and sensor solutions for industrial applications. The company, which was founded in 1946 by Dr. Erwin Sick and has its headquarters in Waldkirch im Breisgau near Freiburg in Germany, is a technology market leader. With more than 50 subsidiaries and equity investments as well as many agencies, SICK has a presence all over the world. In the 2016 fiscal year, SICK had more than 8,000 employees worldwide and a group revenue of just under EUR 1.4 billion. The MRS6000 3D LiDAR sensor from SICK measures over 24 layers.